It's been a week of firsts, Noah's haircut now Isla's first trip to the dentist. I'd been thinking that we needed to do this for a while and the dentist confirmed that we were bang on with timing. 3 is a good age to start regular check ups. Isla was looking forward to it, we'd talked about it lots and I'd prepared her for what would happen and that there would likely be a sticker for her if she was good. Funny! 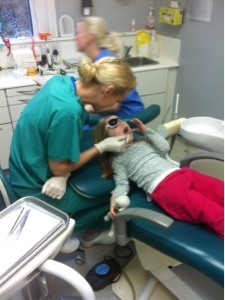 Hopefully she won't grow up to hate the dentist as some do. Mughniyeh’s last act was plan his most mysterious check this out operation. It is entirely in keeping with this mythical image of the man we have created.